1. Disney has made Rob Marshall their top choice to direct the live action The Little Mermaid. This adaptation will have new songs by Hamilton’s Lin-Manuel Miranda and Alan Menken. Marshall previously won the Oscar for Best Picture for Chicago, so you know this’ll be good. Chances are you’ve heard of escape rooms. Maybe you’ve even played an escape game yourself. They’re perfect for a party of one (who knows who you’ll meet), a group of friends or with your co-workers to encourage teamwork. It’s time for another edition of our popular 20 Pop! promotion, where you can snag tickets to hot events for just $20 a pop. To kick off the fun, we’re having a coloring contest! 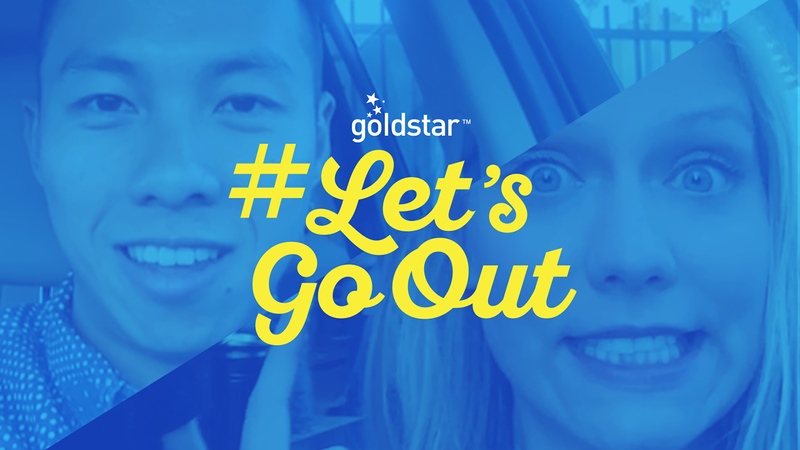 Our mission to set the stage for romance continues, and the results of our latest #LetsGoOut date are here! Goldstar has tons of date-worthy events, and we love when people find love — or at least find a show they love — so it’s a perfect match. Ready to see this month’s couple? 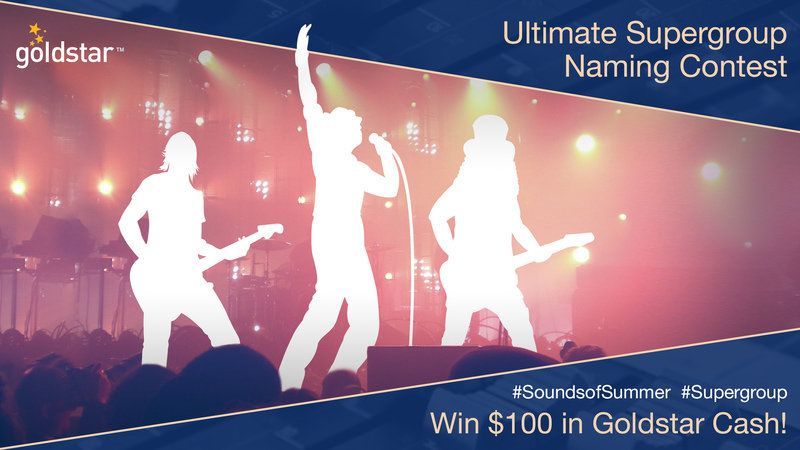 Name Your Ultimate Supergroup Contest: Win $100 in Goldstar Cash! A supergroup is born when a few famous musician friends put aside their stadium-sized egos to create a brand-new band — kind of like the ‘92 Olympics Dream Team, or when the Mighty Morphin’ Power Rangers combine to form the Megazord. Obsessed with the new Pokémon Go game? Gotta catch ’em all? Then you’re in luck! These locales are sure to be filled with Pokémon — and you can enjoy a live event while you’re hunting. Good luck! Certain Pokémon only make an appearance near the water, so get off land and catch ’em on a boat tour. Pokémon can’t resist green grass and flowers. See an outdoor show or enjoy a festival outside. As far as holidays go, the Fourth of July is the perfect poster child for live entertainment. From fireworks spectaculars to neighborhood block parties to backyard barbecues, the Fourth is all about friends, family, food, and fun — in other words, live experiences. Fact No. 1: Blind dates are almost always awkward. Fact No. 2: Blind dates are significantly less awkward when you have a distraction (like, say, a live event). Fact No. 3: Goldstar has tons of date-worthy live events happening every day. Put all these facts together, and you’ve got the idea behind our #LetsGoOut initiative. That’s right, we’re setting the stage for romance by fixing up Goldstar members on blind dates and sending them to awesome live events.